Picking a photographer can be nerve wracking! It can be hard to find someone you are comfortable with. With Dena, you don't have to worry about any of that. From the moment I first emailed her she was so warm and personable, it was like meeting with an old friend. She was so kind and walked us through the entire process, she listened to all of our wants, and gave us all we asked for and more! She was simultaneously so fun to be around day-of and totally inconspicuous! We were so glad to use Low-Key Love for our wedding. Dena spent a lot of time getting to know us, personally, before our wedding, and so her photos reflect our personalities and wedding style. She was simultaneously so fun to be around day-of and totally inconspicuous; even when we were taking portraits I never felt like we were being directed or posed, and her guidance for our whole - large and loud! - wedding party made everything feel relaxed. That mood shows in our photos. 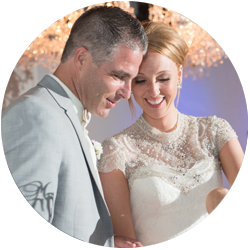 Our wedding album is like living our day all over, from the thoughtful detail shots to our ceremony to the dance floor. Dena was also incredibly sensitive to our religious ceremony, checking with us in advance where and when we would like photographs to happen during the mass. Though we had never met in person, Dena made enough time for me over the phone to make sure we knew each other by wedding day, so when she showed up in the morning it was like seeing an old friend! She truly made us feel so comfortable and natural during all of the photos, and the end result is an album that feels so true to our day and our relationship. 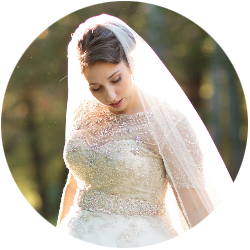 I was initially drawn to Dena's photography style and knew I had to have her on my big day. Dena was a pleasure to work with from start to finish - she is truly a sweetheart and extremely thoughtful. Dena is very organized, thorough, and truly takes pride in her work. Dena not only took gorgeous photographs, but she helped our day flow smoothly. 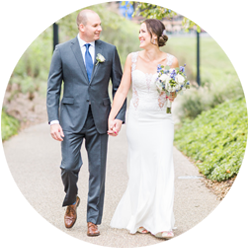 We were thrilled that she was able to deliver such a comprehensive set of photos. 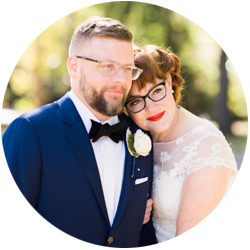 Her work is amazing and truly captured the essence of our big day. I usually shy away from having my picture taken, but with her I was very relaxed and comfortable! Dena was so great to work with! She was very laid back and very easy to work with! I usually shy away from having my picture taken, but with her I was very relaxed and comfortable! I highly recommend her for your big day! "From the first moment we met with her, we already liked her work, but we automatically liked her as a person." Dena photographed my sister's wedding a couple of years ago, so when John & I were looking for a photographer for our wedding, she was one of the first suggestions. We saw her work, which was beautiful. From the first moment we met with her, we already liked her work, but we automatically liked her as a person, which for us was important. She was very professional, friendly, and open to suggestions. The pre-wedding package arrived unexpectedly and so beautifully packaged, which cemented for me her customer service. Dena was so great on the wedding day! She captured so many great photos and all of our little details, even getting a bruised knee on Mt Washington to capture a shot. Our guests at the wedding enjoyed her too. She never seemed like she was intruding or overstepping, but always capturing moments that were naturally happening. We were so pleased with the final product, which again arrived in such a lovely package, as were our families when we showed them. I would recommend Dena & Low-Key Love to anyone who needs a professional photographer!! Thank you so much again, Dena!! "We could not be more pleased with Dena's work." We could not be more pleased with Dena's work. 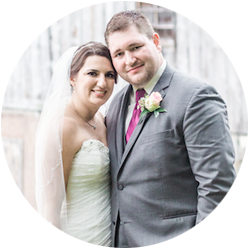 She was able to understand our vision for how we wanted our wedding documented and far exceeded our expectations. We felt so comfortable working with her, both in the intimate pictures between us and in the larger group pictures. Our guests also really loved her and we have received many lovely comments on her presence at our wedding. Dena was wonderful to work with! Everything about the whole experience was PERFECT! Everything about the whole experience was PERFECT! You had everything run so smoothly! You got all of the shots that we wanted, and so many more shots that we wouldn't have known to want. I have no idea how I'm going to pick and choose which ones to order as there are so many! Thank you for helping to catch all the great moments of our wedding weekend! 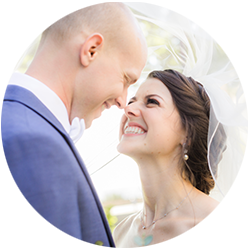 We would recommend Low-Key Love® to anyone for their special day! We absolutely loved working with Dena! She was easy to communicate with, especially since we were planning our wedding from across the country. Also, she is just so sweet, kind, and talented! She sent the cutest packages throughout our experience with her, and her photographs were beautiful. 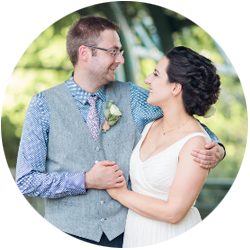 Our wedding day was the best day of our lives, and we are so happy that we can relive that day through the photographs she captured. We would recommend Low-Key Love® to anyone for their special day! 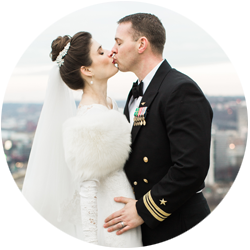 "We feel so lucky that Dena was our photographer." Wow Dena is simply amazing! We had no clue where to begin looking for photographers especially at a decent rate. We feel so lucky that Dena was our photographer. 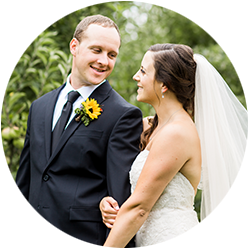 She helped contribute to creating a wonderful wedding day with beautifully shot memories for a lifetime. Everyone has raved about her gorgeous photos. She truly cares and obviously has a passion for photography. Dena always went way above and beyond from the day of our wedding to well beyond months later. 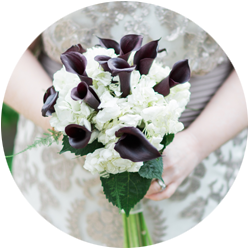 She has a calming presence on the months leading into as well as on the wedding day which is great for the bride as well as the wedding party. No regrets, choose Dena! "All of the photos are incredible and we truly wouldn't change a thing." There is not enough space or words that we can use to express how lucky we were to work with Dena. 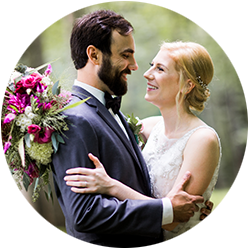 From the moment we met her to discuss her photographing her wedding, we knew that she was someone we wanted to work with. Not only is Dena brilliant at what she does but she is professional, kind, and thoughtful. She made the entire process fun and special. 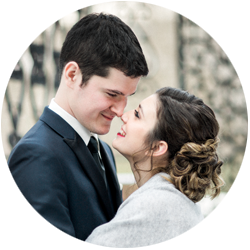 Dena checked in on us frequently before the wedding and has continued to do so after the wedding, with little touches such as sending us a sweet package before the wedding with fun goodies and most recently a holiday gift. She goes out of her way to do things like this that we would never expect but are so thoughtful and appreciated! Her website and the tools on it are very user friendly and helpful as is the gallery. Our outdoor ceremony was on an incredibly hot and humid day (92 degrees!) and I don't think Dena ever stopped moving. Dena was there for 12...yes 12 hours and both she and her assistant were so much fun to work with. 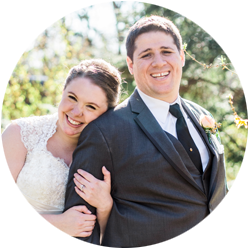 I have never liked being in photos but Dena made us feel incredibly comfortable and captured our personalities. All of the photos are incredible and we truly wouldn't change a thing. Please, do yourself a favor and book Dena Galie/Low-Key Love... you will not regret it! "Great photographer! (And wonderful human!)" Dena was a true professional on my big day. One of the most kind hearted, caring, funny, and sweet individuals I've ever had the pleasure of working with! She was flexible and understanding and worked diligently to make sure my wedding photos were everything I hoped they would be. No matter the curve ball I threw her way, she always hit it out of the park. I would HIGHLY recommend her to any and everyone! "Dena was the perfect choice." 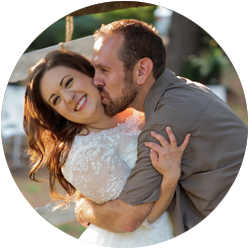 I knew that the photographer we chose for our wedding would not only have a huge impact on our day, but give us the most lasting memories from our wedding. Dena was the perfect choice. She was professional and personable. Dena was a natural part of our entire day, and the photography never felt intrusive. When problems arose during the reception, she helped keep us calm and on track. But best of all, she captured dozens of perfect pictures throughout the day. I am so happy to have such wonderful moments captured so beautifully for us to enjoy the rest of our lives. 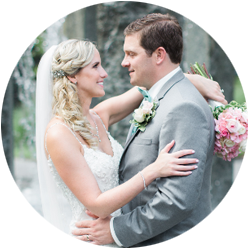 "I had no worries as a stressed out bride she would deliver." 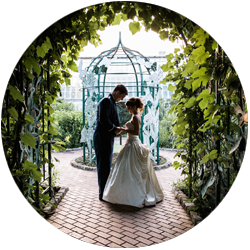 I've been married before and had a much more $$$ photographer in Dayton. I didn't get nearly the personal touch that this got. It was great...meetings, candy, book, promptness, inquiries were wonderful. I had no worries as a stressed out bride she would deliver (She was my no. 1 least worried vendor out of a bunch of A plus ones). Pics were gorgeous! "I will definitely be recommending her to my closest friends." Dena was wonderful to work with. Very professional, sweet, a pleasure to work with and her work was exceptional. I will definitely be recommending her to my closest friends. I am very pleased with the finished product! Dena is so talented! She knew exactly what to do and made us feel at ease. She captured our wedding beautifully and we are so happy with the results! We love how Dena made us feel comfortable through the entire experience. Even though we were planning our wedding from out of town, she took the time to meet with us when we were in town and was flexible with communicating with us by email and phone. Dena also helped to ease our minds the day of our wedding. Her relaxed nature put us at ease and it showed in our photographs! After receiving our pictures, we were so happy to relive the day and we couldn't believe that there was only one photographer for the day! Dena captured every moment! "Dena was so awesome to work with!" Dena was so awesome to work with! She made us feel comfortable and was so easy to work with! 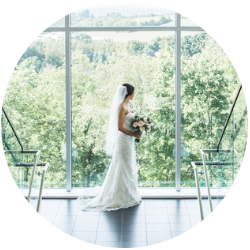 We love all of our photos, Dena captured the day perfectly! "Low-Key Love® was an amazing choice for our wedding." Low-Key Love® was an amazing choice for our wedding. Dena captured so many elements of the day that we didn't get to see - the stuff that was so important to us! Also Dena got so many candid, photojournalistic pictures that reflected the intimate feel we tried to cultivate. I would book Dena for any event, every day of the week. She was so accommodating and gracious to my husband and I. When our photographer cancelled on us 2 days before the wedding, a friend recommended her. She made herself available to us last minute, at the price we had agreed upon with our previous photographer, and we had no idea at the time what a gift she was going to be. She has an eye for the details. I wish there were 10 stars for her because she deserves all of them. We had a backyard wedding and we didn't see Dena at all...she was not intrusive to the party. But the shots she was able to get were unbelievable. After it was all said and done, I just couldn't let her do all this for the price we had agreed to. She got a big tip and was well worth every penny of it. 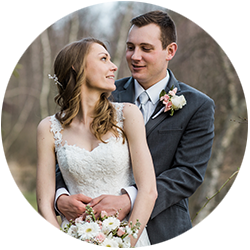 I was told by a friend who had a wedding earlier this year that she allowed her relative to do the photos....big mistake....she has very few pictures and would never do another wedding without a professional photographer. There are too many people who think they know how to takes photos, but I wasn't going to chance this special day going by without getting awesome photos. My mom is getting married this weekend...and she is traveling to Ohio to capture her big day as well! We love Dena!